Spring is definitely in full swing. 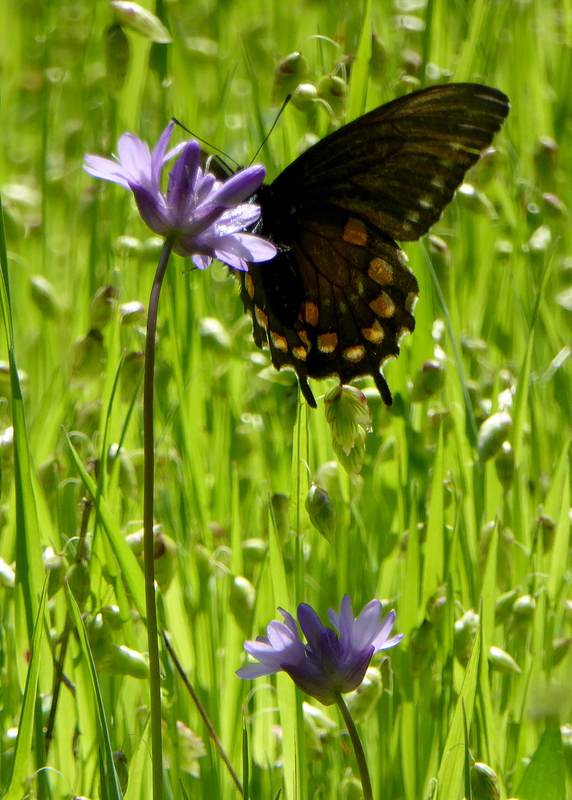 Wildflowers such as lupine and California poppies are in profusion, as are the butterflies that frequent the also prevalent Blue dicks (like the Swallowtail pictured). The trail is mostly no longer muddy (until the next rain, at least), so now is a great time to get out and enjoy the warmth and the wildlife. Just keep your eyes peeled for rattlesnakes, as they have already been sighted on the trail. Other wildlife to look for include squirrels, deer, lizards, and wide variety of birds, from Red-Tailed Hawks to Red-Shafted Flickers to Great Horned Owls (all of which have been sighted from the trails). 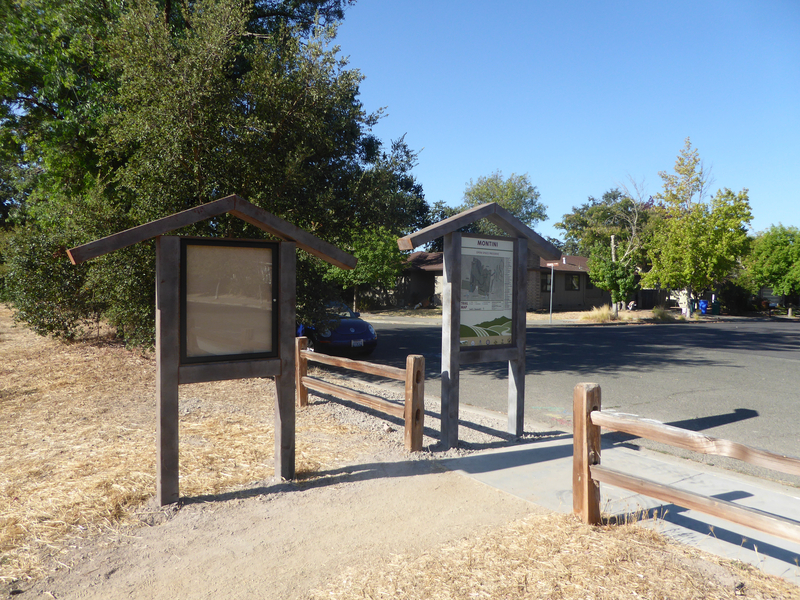 collaborates with the Sonoma Ecology Center that serves as our fiscal agent. But anything that costs money to maintain or upgrade the trail and property requires us to raise money through events, donations, etc. If you feel so moved, please click on our “Donate Now!” link in the righthand column. Or, come to our next event at the Sonoma Raceway. In any case, enjoy all of the sights of spring and stay safe out there! Although the Montini Preserve has been open to hikers since November 2014, we are only now getting permanent trail signage. The signs are screwed into metal posts set in concrete, so they seem sturdy and lasting. The metal is unpainted, so over time they will likely rust to a red color. 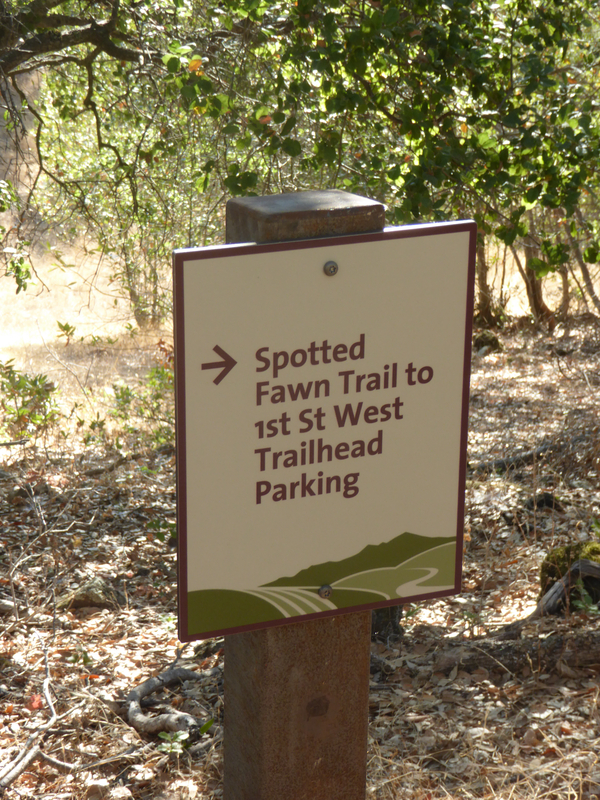 The signs point out trail names and paths as well as areas of the Preserve that are “off limits”. 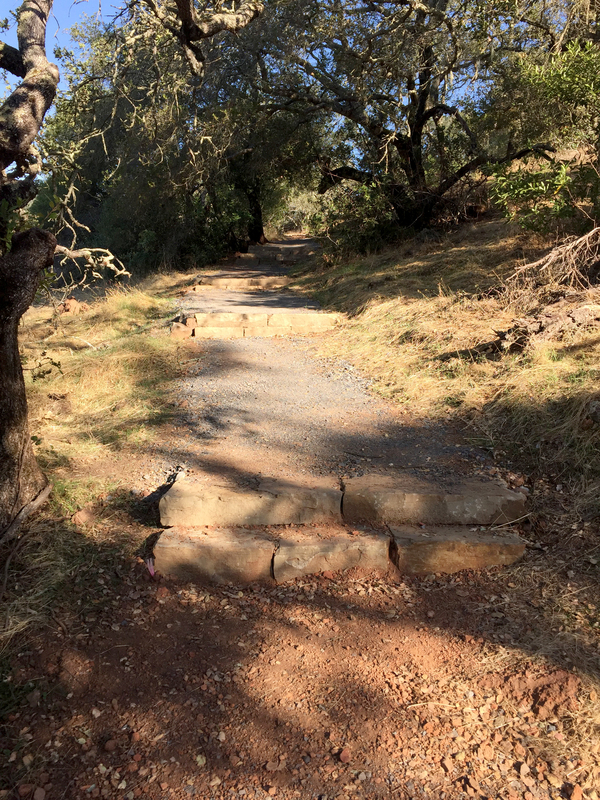 These “off limits” areas are near the property border, and include such high-traffic areas as a “rogue” trail that connects Two Goat Point to a ranch road that takes hikers back down to the Holstein Hill Trail. It seems highly unlikely that hikers will heed the signs that prevent them from making a broad loop around the Preserve, but the terms of the agreement apparently dictate such an admonition. The signs themselves are small but picturesque, and some of them include a “City of Sonoma” attribution with the city seal. They are a great addition to the property, and overdue. 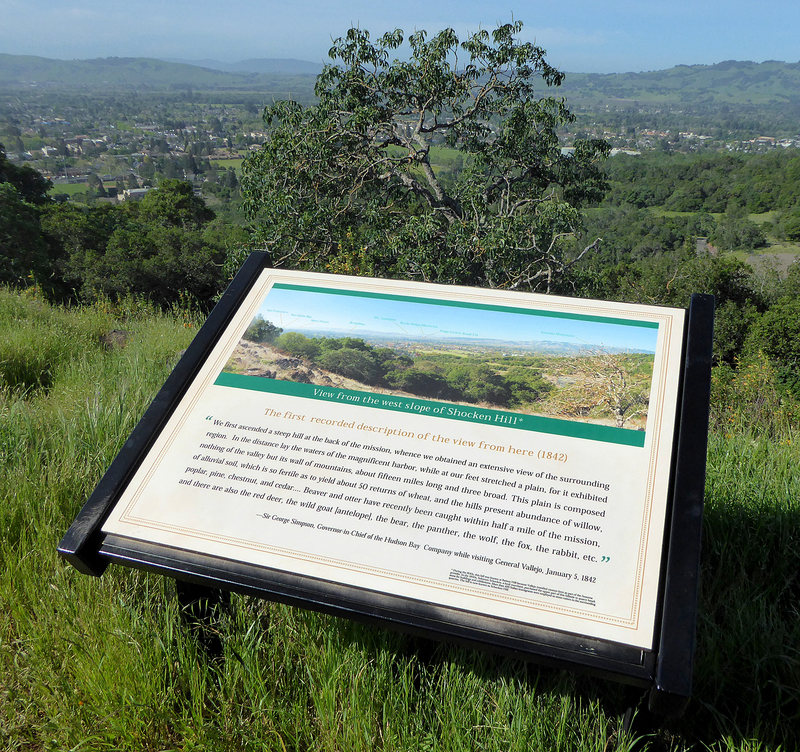 On the Sonoma Overlook Trail, the signs are typically wooden post signs, which are a lot easier to put in but may be less durable than the Montini signs.